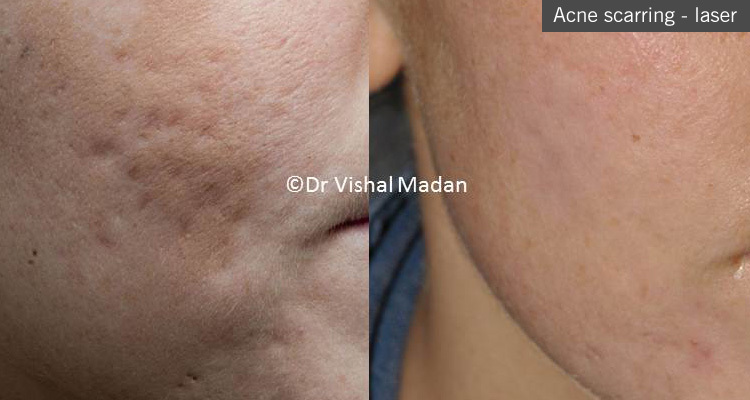 Acne scarring has major effect on self esteem, confidence and can lead to social withdrawal, unemployment, lost relationships, significant depression and even suicide. 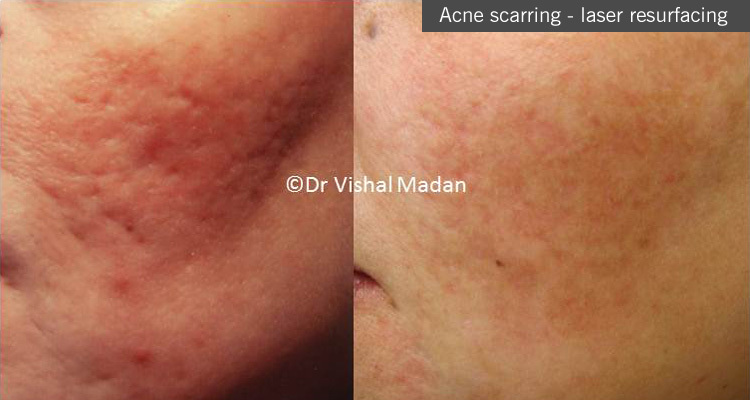 Scarring of varying severity occurs early and affects 95% of patients with acne. Acne scars are of many types and one person may have a combination of these. Icepick, varicelliform, box car, rolling, hypertrophic, keloid and if scarring is widespread it causes elastolysis with appearance of premature ageing. 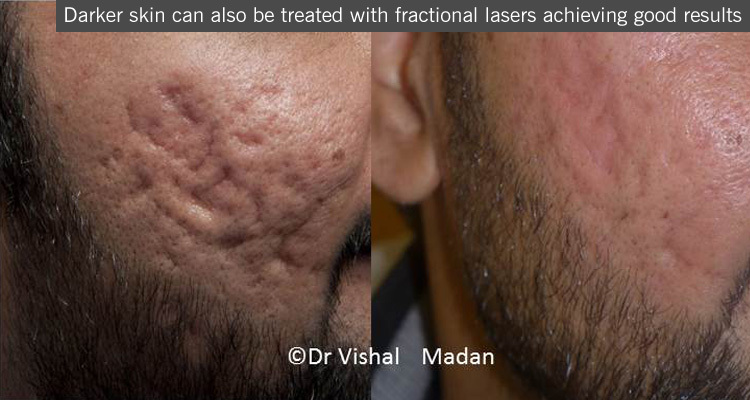 Dr Madan is credited with identifying a new form of acne scarring called papular acne scarring of nose and chin. 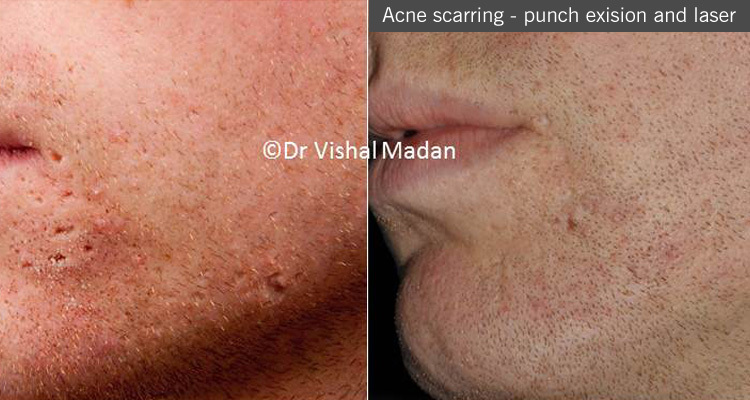 Papular Acne Scars of the Nose and Chin: An Under-recognised Variant of Acne Scarring. J Cutan Aesthet Surg. 2016 Oct-Dec;9(4):241-243. 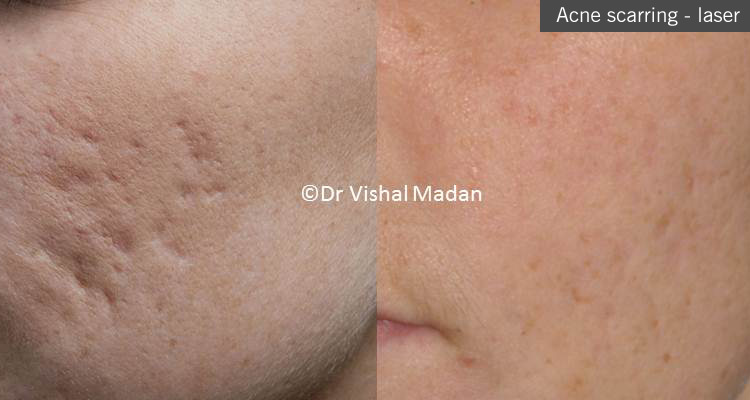 Not all acne scars are alike and an individual with acne will have different types of scars. 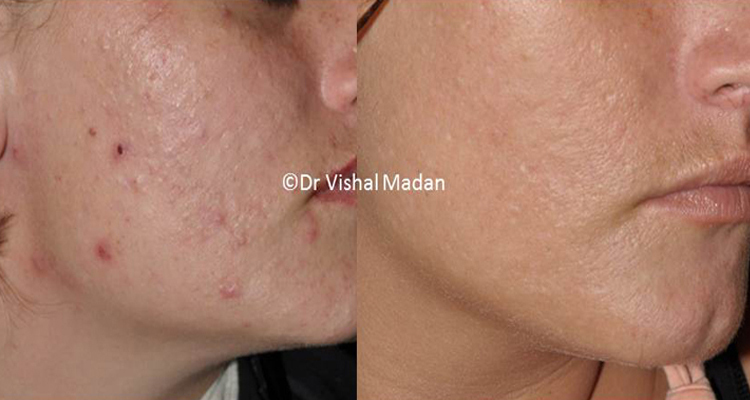 This means that there is no single best treatment for established acne scars. 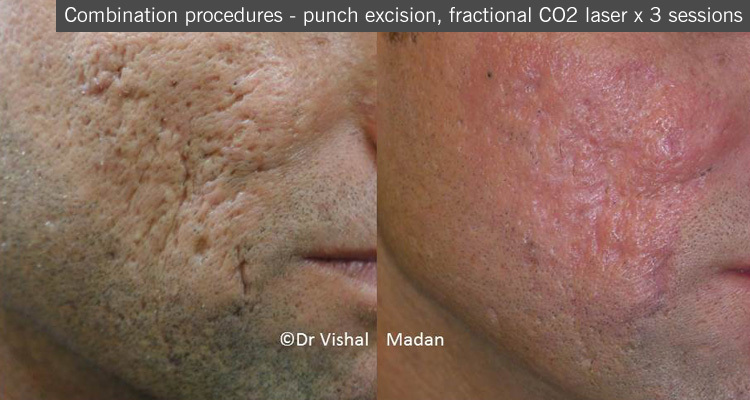 Treatment of acne scarring is usually sought for facial rather than truncal lesions. Each scar and patient is treated individually on their merits and according to the patients’ and the scars characteristics. 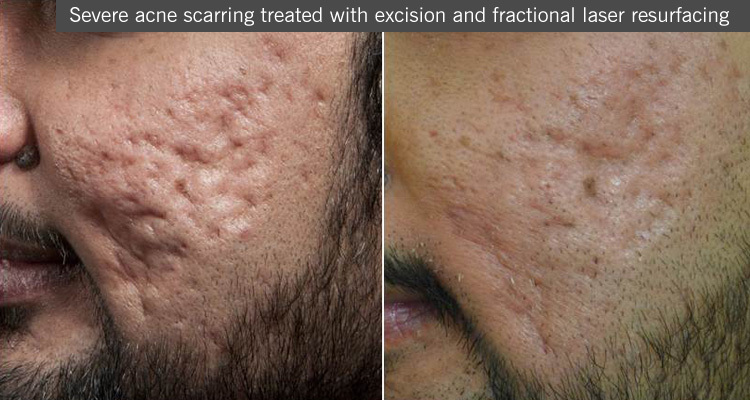 Many treatments are available for acne scarring. Most of these are physical methods and involve one form of surgical procedure or other aimed at correction. Some procedures e.g. dermabrasion were quite popular in the last two decades have given way to newer safer and more effective techniques. Other techniques include chemical peeling using various organic fruit and inorganic acids and solutions. Whilst useful in very superficial scarring acne, this method is more useful for the pigmentary disturbance associated with the acne scarring. Moreover, any improvement with these peels is usually temporary.